Researchers from the University of Alberta may have found a way to make chemotherapy more effective at treating cancer while blocking its harmful side-effects on the heart. While chemotherapy can be an effective treatment for cancer, the aggressive attack on cancer cells often cause damage to other cells throughout the body, including the heart, making patients more prone to develop heart problems years down the road. The heart resides in an oxygen-rich environment, compared to a tumour which resides in an oxygen-poor environment. The team found that the oxidation of proteins—a process that requires oxygen—was preferentially increased in the heart. By stabilizing a specific metabolic protein called pyruvate kinase M2 (PKM2)—also preferentially oxidized in the heart—with a drug compound, the researchers completely prevented heart damage from the chemotherapy, and enhanced the potency of the chemotherapy against lung tumours in preclinical mouse models. According to Sutendra, chemotherapy affects all tissue, but the heart is especially susceptible. While most other cells will recover quickly, heart cells regenerate more slowly, making damage nearly irreversible. Because of that, protecting heart cells before the damage is done is vitally important. The researchers hope the findings will soon be able to be tested in clinical trials with similar drugs that stabilize PKM2. "The beauty of our work is that many of these drugs are already being tried in early-phase clinical trials for other diseases," said Sutendra. "We're really happy because we think that we can push it to the next phase where hopefully patients can start seeing some of these treatments in the near future." 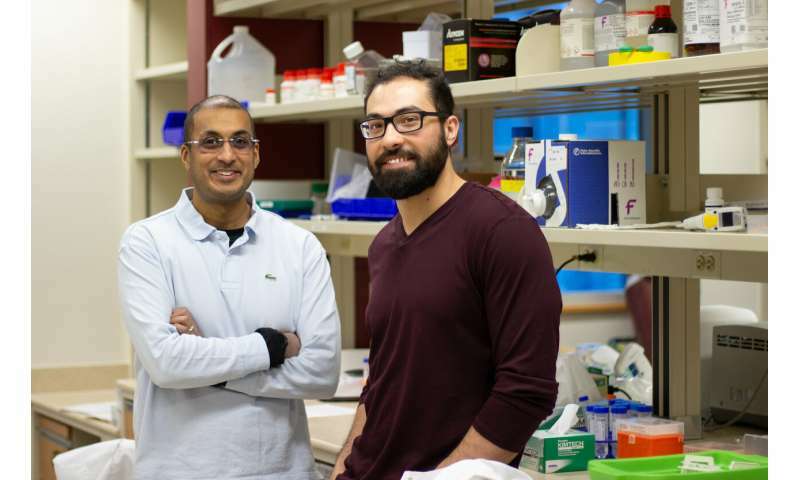 "We also believe the implications of our work may extend to other forms of heart failure as well," added Bruno Saleme, first author on the study and a recent recipient of the Alberta Innovates Graduate Scholarship. The research is published as a cover story in Science Translational Medicine.